Mature tree-lined streets, pillared plantation homes, wrap-around porches. When it comes to Southern states like Georgia, there are certain architectural features of which we expect to see plenty. The 10 neighborhoods on this list boast myriad examples of the aforementioned features and more. While some are historical and others luxuriously modern, each neighborhood on this list consists of a collection of homes, streets, and parks that appeal to lovers of both architecture and beauty. These neighborhoods are, put simply, the most architecturally charming neighborhoods in the state of Georgia. When one thinks of Savannah, it’s neighborhoods like Ardsley Park that come to mind: old live oaks shading the walkways, Spanish moss, stately mansions. Established around the 1920s, the neighborhood is lined with Craftsman bungalows and four- and five-bedroom mansions built in the traditional Southern plantation style. Its distance from the hustle and bustle of Savannah’s most touristy areas keeps this neighborhood quiet and peacefully residential. Not surprisingly, Ardsley Park homes do not come cheap, and the neighborhood is most popular among older couples and affluent families. Near the University of Georgia campus is Bloomfield, a densely developed neighborhood that could practically tell the history of Athens through its varied architecture. Victorian Eclectic, American Four-square, Bungalow, Tudor Revival, Neoclassical, and Craftsman-style homes all line the quiet and mature residential streets, sometimes with multiple styles on one block. Though home prices in the neighborhood have fluctuated in recent years, those wanting to purchase an historic home close to the university can find beautifully updated Bloomfield residences for under $200,000. In 1857, Colonel Joel Early Hurt bought 30 acres of land on which he built his impressive Italianate-style Dinglewood Estate. Today, the former Dinglewood Estate is now a small gem of a neighborhood. While some of Dinglewood’s homes were built in the Italianate style to carry on the tradition, others were built in the English Vernacular Revival and Colonial Revival styles. 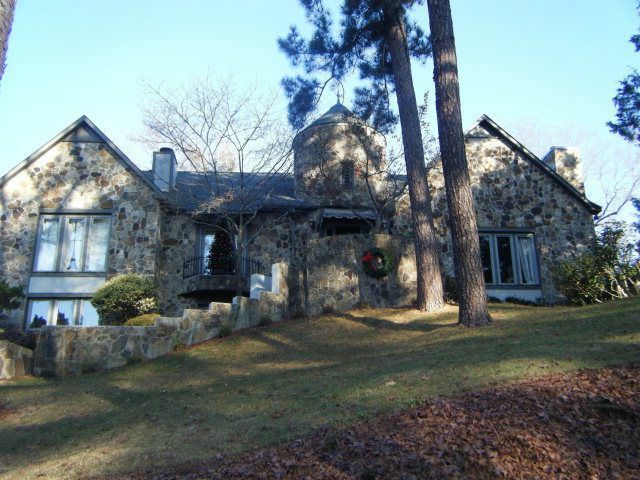 Whatever their style, nearly all of Dinglewood’s early 20th century homes are lovely. Residents also have access to two parks — one privately-owned and one city-owned — for strolling and playing. Atlanta’s historic Grant Park neighborhood was named for the beautiful Olmsted Brothers-designed park situated in the neighborhood’s center. Today, Grant Park is one of the city’s oldest and most important historic districts. The neighborhood was established in the 1880s, and contains the largest remaining collection of Victorian architecture in Atlanta. Facing the park are the large, two-story mansions, while on the surrounding streets can be found Queen Anne-style beauties. Grant Park also has a few unique one-story Victorian cottages and Craftsman-style bungalows. 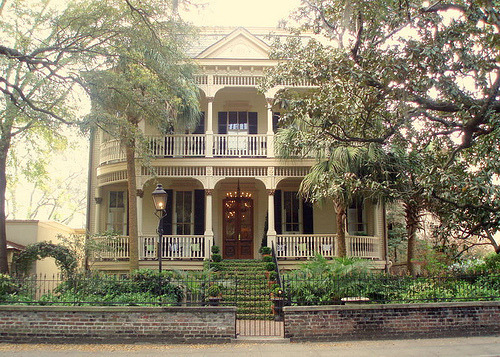 Savannah’s Historic District is historically significant for a number of reasons, including its fine examples of both city planning and residential architecture. The neighborhood is organized into the distinctive grid plan that was so popular in the 18th and 19th centuries. Lining the quiet and mature streets is a collection of impressive residences built in styles that include Georgian, Greek Revival, and Gothic. Notable buildings include the Owens-Thomas House (1818), the Beaux Arts-style Edmund Molyneux Mansion (1917), the Spencer Woodbridge House (1795), and the Gothic Revival-style Greene House (1853). 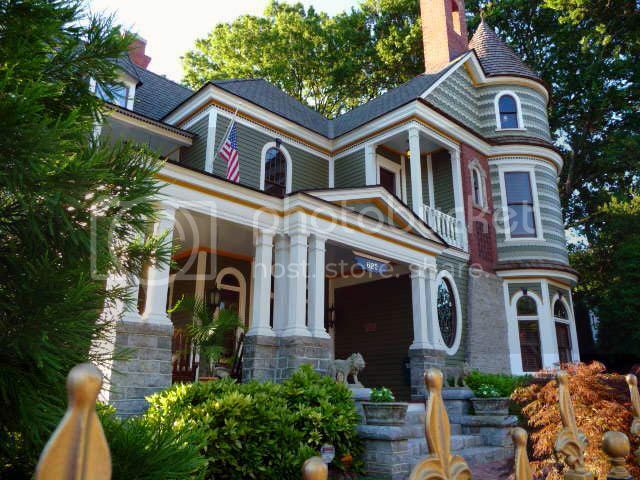 Some of the best residential architecture dating from the 1800s and 1900s can be found in Atlanta’s Inman Park neighborhood. The neighborhood is characterized by its grand collection of different architecture styles, including Queen Anne, high-style Italianate, Romanesque, bungalow, shotgun, and American Four-Square. Those interested in landscape architecture will love Inman Park’s unique street layout, which seamlessly incorporates parks and other public spaces. Notable homes in this neighborhood include Beath-Dickey House, the Callan Castle, and the Kriegshaber House. 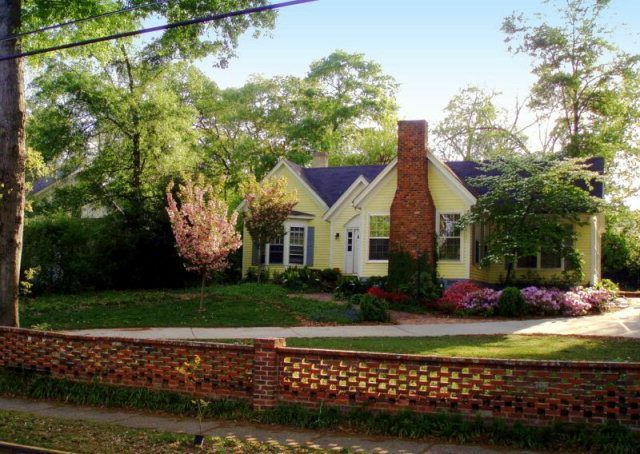 Ormewood Park, situated between historic Grant Park and the East Atlanta Village, is characterized by its unique variety of charming architectural styles. Craftsman-styles, shotgun houses, and red-brick bungalows have all been lovingly maintained since their construction in the 1920s. Recently, newer constructions have been added to the neighborhood, most of which are in varying and beautiful architectural styles of their own. Lush oaks and evergreens line the mature streets, and offer plenty of shade during those hot Georgia summers. Thanks to the hard work of some dedicated homeowners and preservationists, Savannah’s Victorian District is once again an up-and-coming neighborhood. A walk through this historical district reveals minute details like gingerbread-style features, sunburst gables, and rounded windows, to name but a few. Mature trees lining the streets give away just how old this neighborhood is, while Forsyth Park gives residents a beautiful place to walk and play. Atlanta’s Virginia-Highland neighborhood has gone from totally defunct to one of the trendiest areas in Midtown. It’s best known for its older residences: Craftsman bungalows, English Vernacular Revivals, Colonial Revivals, English cottages, and American Four-Squares. Though some of the neighborhood’s most impressive old residences have been converted into apartment buildings (most notably the Adair Mansion), remnants of Virginia-Highland’s glory days are still very much apparent. Luckily, such future reforms would be highly unlikely, as the neighborhood is listed on the National Register of Historic Places. 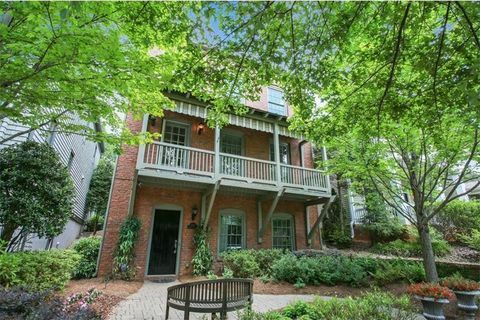 Better known as “Westside,” West Midtown is one of Atlanta’s most popular neighborhoods. As recently as the 1950s, Westside was practically a ghost town, its historically significant buildings completely abandoned. Fortunately, a few brave entrepreneurs and architects have completely turned this neighborhood around, all while maintaining its unique historical charm. Cavernous old warehouses now house restaurants, boutiques, art galleries, live music venues, and upscale condos. Even the smaller architectural details have been cared for and retained, such as the cobblestone alleyways and the pre-Civil War train tracks that criss-cross through the neighborhood.